Whether you are booking your India flights months in advance or just a few days before your travel date, NanakFlights can get you the lowest airfare for your trip. Our innovative flight search algorithm searches millions of airfares to help you find discount airline tickets to India, more flight options, and more convenient layovers. We guarantee lowest pricing on flights to India and worldwide destinations. About India: India is the second most populous country in the world with a population of more than 1.25 Billion people. It is also one of the biggest democracies in the world. There are over 22 languages spoken in India. Taj Mahal is the most visited site in India. It is one of the seven wonders of the World and attracts tourists from all over the world. We offer best deals on cheap flights to India from all Canadian cities including Toronto, Montreal, Ottawa, Vancouver, Victoria, Calgary, Edmonton, Halifax, Regina, Winnipeg, and Fort Mcmurray. Direct or non-stop flights to India: Air Canada is the only non-stop (direct) flight operating to Delhi and Mumbai in India. Low season for India travel: January, February, April, May, September, October, November. High season for India travel: March, June, July, August, December. Monsoon season in India: July-August. Main languages spoken in India: English, Hindi, Punjabi, Gujarati, Bengali, Kashmiri, Tamil, Telugu, Marathi, Bhojpuri, Oriya and Urdu. Cheapest price on return tickets to India from Canada: C$ 937. Cheapest price on oneway tickets to India from Canada: C$ 630. Popular airlines flying to India from Canada: Air Canada, Jet airways, Emirates, Lufthansa, Austrian, Swiss airline, Oman Air, Kuwait Airways, Etihad airways, British Airways, Gulf airways, KLM, Air France, Alitalia, China Eastern, China Southern, China airline, Air China, Ukraine International. Our best deals on air tickets to India from Toronto, Ontario, Canada. Displayed fares are subject to change and cannot be guaranteed at the time of booking. Our best flight deals of the day from Montreal, Quebec, Canada to India flights. Displayed fares are subject to change and cannot be guaranteed at the time of booking. Our best flight deals of the day from Ottawa, Ontario, Canada to India flights. Displayed fares are subject to change and cannot be guaranteed at the time of booking. Our best flight deals to India from Vancouver, British Columbia, Canada. Displayed fares are subject to change and cannot be guaranteed at the time of booking. Our best flight deals to India from Calgary, Alberta, Canada. Displayed fares are subject to change and cannot be guaranteed at the time of booking. Our best flight deals of the day from Winnipeg, Manitoba, Canada to India Flights. Displayed fares are subject to change and cannot be guaranteed at the time of booking. Our best flight deals to India from Edmonton, Alberta, Canada. Displayed fares are subject to change and cannot be guaranteed at the time of booking. Why Book your India Flights with us? One of Canada's fastest growing retail travel agency (for the 6th Year Running). Easy to use online flight booking tool. We search airfares from over 100 Airlines and five Consolidators. 24 X 7 call centre support. 100% safe shopping guarantee with SSL encryption. Over 100 Million Air travel sold to date. $5 gas card reward per passenger on all bookings. Multi-lingual staff to serve India and all international markets. Best price guarantee on both domestic and international bookings. Dedicated schedule change team to advise you of any changes in your departure timings. IATA & TICO accredited. Book with confidence. Baggage information and airline phone numbers. No service fee on published fares. We also issue airline tickets for journeys starting from India to Canada. NanakFlights offers great savings on domestic and international flights to India and every airport in the world. We partner with more than 100 airlines & travel wholesalers in Canada to find you a vast selection of affordable flights to India and the worldwide destinations from every airport and city in Canada. India popularly known as Bharat in Hindi is a country in South Asia and is the second most populous country in the World after China with over 1.2 Billion population. Find cheap tickets to India including destinations like Delhi, Ahmedabad, Mumbai, Amritsar, Hyderabad, Bangalore, Chennai, Calcutta, Chandigarh, Cochin, and more. We offer huge selection of flights to India . Explore Delhi, the Capital city of India and experience the best cosmopolitan life in Delhi, or explore the bustling city life of Hyderabad in southern India. Explore Chennai, the Capital city of Indian state of Tamilnadu and experience the best cultural life of south India. Enjoy the Bollywood life in Mumbai or explore the beauty of Kochi backwaters (Cochin ) or enjoy the Indian spices in Calicut also popular as Kozhikode. Planning a getaway trip to Asia? Search our online portal and book on top airlines including Air China, China Eastern, China Southern, China Airline, Cathay Pacific, Korean Airlines, and Air Canada. Popular destinations: Bangkok, Beijing, Singapore, Bali, Manila, Ho Chi Minh, and Phuket. Find the most affordable airline tickets to Middle East’s bustling hubs such as Dubai , Abu Dhabi, Jeddah and Pakistan's major centres of Lahore , Islamabad , and Karachi. Jeddah is our top selling destination specially for Hajj and Umrah tour packages. Popular Airlines: Air Canada, Emirates, Etihad, PIA, Turkish Airline, Air China and Saudia airline. Whether you are flying to Vancouver, Calgary, Ottawa, Edmonton, Toronto or any other major Canadian Hub, NanakFlights offers huge selection of domestic flights within Canada. Explore the iconic CN Tower and experience the best cosmopolitan life with cheap flights to Toronto, or explore the bustling city life of Vancouver in western Canada.Search our online portal and book your flights on leading airlines including Air Canada, West jet, Porter, and Air Transat. Find flights to the USA on popular airlines including Air Canada, United Airline, Delta, West Jet, American Airline, Porter Airline, and Alaska Airlines. We have the cheapest tickets to every major hub in the USA. If you are interested in traveling to Europe, We can offer you incredible flight deals to top destinations in Europe. Compare airline tickets to major tourist attractions in Europe including Paris, London, Rome, Barcelona, Dublin, Zurich on more than 25 airlines and save. Popular Airlines to Europe: Air Canada, Swiss Airways, Lufthansa, United airline, Austrian Airline, Delta, KLM, Air France, Jet airways, Turkish Airline, Bristish Airways, Etihad airways, and Emirates airline. Find savings on flights to Australia & New Zealand on popular airlines including Air New Zealand, Qantas, Air Canada, United, Virgin Australia, and Emirates Airline. Popular destinations: Sydney , Melbourne , Brisbane , Perth , Adelaide , Auckland , Wellington , Christchurch, Queenstown. Find lowest pricing on flights to Colombo , Sri Lanka on popular airlines including Air Canada, SriLankan airline, Emirates, Jet airways, Oman air, and British Airways. Explore Sri Lanka's breathtaking landscaping ranging from rainforests to beautiful beaches. We will help you plan all inclusive customized packages to Sri Lanka . Popular destination: Colombo. Colombo is the capital city of Sri Lanka and most of the international tourists prefer to go to Colombo first and then connects locally to other domestic cities in Sri Lanka. Find best pricing on flights to Dhaka , Bangladesh on popular airlines including Air Canada, Emirates, Jet airways, Oman air, and British Airways. Bangladesh is situated on the east of India across Bay of Bengal. Dhaka is the capital city of Bangladesh. We will help you plan all inclusive vacation packages to Bangladesh . Explore Bangladesh's breathtaking lush greenery, many waterways, and beautiful beaches. With experienced travel agents, secure servers, and our best price guarantee, you can book your plane tickets with NanakFlights with confidence. Our inspired content on our top destinations makes it even easier to research and plan the vacation of your dreams. We offer the best pricing on economy, premium economy, first class, and business class airfares. 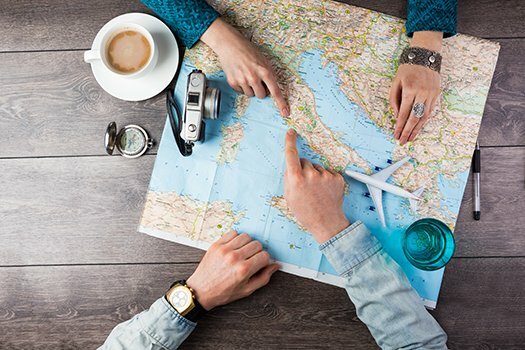 Our flight search engine searches up to 200 flight options from our vast network of travel partners to offer you the cheapest flights. We compare our prices with our competition daily so that you will always find better pricing with us. We are a team of passionate and seasoned travel professionals who work around the clock to make your travel purchase smooth and seamless. We offer a price drop guarantee of up to $100 as a future credit. For your price match guarantee claim, please send us a screenshot in your email with subject "Price Match Guarantee." We also recommend calling us immediately at our toll-free phone number 1-855-722-9977 24X7 as ticket prices are dynamic and cheaper flight options go fast. We will beat any competitor’s price by $5 on the same flights. Once you complete your purchase, an e-ticket is sent using Sabre's Tripcase technology. You can print your boarding pass within 24 hrs prior to your departure using your e-ticket number/airline reference and your last name. Creating an account on the platform will allow you to see all your travel purchase in one place. Plus, when any updates come along, you will receive messages and alerts with the changes delivered to your mobile device. NanakFlights is a BBB Accredited Travel Agency. We are a Better Business Bureau accredited travel company with an A+ rating. Start your flight purchase with trust. We are dedicated to instill confidence in our consumers and build an honest relationship with them to carry into the future. These tailored made guides aim to give you accurate and up to date information on the best places to explore in each city – top hotels, restaurants, guided city tours, and more. What is the cheapest month to fly to India? The cheapest time to fly to India is typically between the end of January and the middle of May, with February assumed to be the cheapest month of all. The months of June and July are usually the most expensive considering they’re the height of the tourist season. How do I get the cheapest flight to India? Making sure that you keep an eye on the various prices of available airlines will ensure that you’re able to find the cheapest flight. As well as keeping up with research, you should look for flights during the cheapest month to fly to India, which is February. Is India cheap to travel? India is actually known to be one of the least-expensive locations to travel, which is ideal if you’re on a budget. Food, utilities, transport and accommodation in India have been found to be cheaper than competitor countries, making it perfect for travelers who don’t want to spend a fortune. What is the flight time to India? Depending on the airport that you’re departing from and which area you’re arriving in, the flight time to India varies. However, a typical direct flight from Toronto to Delhi is 13 hours and 45 minutes. The length of your journey will also depend on whether you have any stop-overs. How long is a flight to India from Canada? A direct flight from Canada to India is approximately 14 hours, which is the time it takes to fly between Toronto and Delhi. Depending on the airport that you fly from, your destination, and whether you have any stop-overs will vary the length of your journey. We are RATED 4.5/5 by 1200 Google reviews for a reason! Just a quick word to let you know that I had very professional and courteous service from Pam. Have a nice day. Honest and hardworking travel agents. Rest assure they beat the online prices (with my couple of booking experience with them). They were professional enough to honour their price drop guarantee which they advertise in my case and I got refund without any hassle. Highly recommended. Mayank has helped me in booking my parents flights with so much ease that I never had to worry about anything. He took care of all the minute details in booking the tickets from India to Canada. Guruasish helped me with my tickets to India. He is kind, knowledgeable, detail oriented and willing to help every step of the way. Guru provided multiple options with price points, travel time and airlines and gave me space to consider all options before making final decision. Even after the purchase of the tickets Guru was available to answer questions. Excellent customer service experience. Keep up the great work! I requested to hold a ticket to Mr. Harry to India in emergency. The ticket was issued with in 5-7 minutes and surprisingly cheapest price as I compared with other travelling agencies price as well. This is certainly 5 star rating travelling agency. They provide prompt service whether it is booking or cancellation. Best thing about them is customer service which is no doubt 5 star rating. Overall this is the undoubtedly best agency ever I dealt with. It was my first time when I was planning to travel to India on multiple airlines and hence I had a lot of doubts on baggage policies and changing flights at different airports. So I approached Nanak Flights to help me out. To my surprise their service was way more than just helpful. Praveen from Nanak Flights helped me with the booking and he was patient and friendly to answer all the questions that I had and comforted me to have a hassle free travel. I would highly recommend this agency and definitely give a 5 star rating for their service I have been offered. Mrujul provided me an excellent service with proper follow-up for tickets to India. She is knowledgeable and always there to help any time. Also she finds cheapest and best connections for my family members who back and forth consistently through the year. Routes she recommended were been hassle free at all the time. Thanks to Nanak Flights. I have booked few tickets to india through Mrujul she is very intelligent knowledgeable and her customer service skill is excellent. She helped me lot with my questions politely. Thx Mrujul. I will do dealing with nanak flight in future. Recently I contacted Nanak Flights, not expecting much different from any other travel agency. However, I was pleasantly surprised by the service I received from them. I dealt with Arvind and he was very helpful in finding the right flights for our family and at the best price. I would highly recommend contacting Nanak for your future trips to India or the region. I had a very great experience booking through Nanak flights. Praveen who helped me with my flights to India was very prompt in finding me the best tickets available for my travel. He also helped me to prebook seats which is a feature that is not easily available when you book through a travel agency. I highly recommend Praveen and Nanak flights! This feedback is for Afshan. I am highly impressed by the customer service provided by Afshan! 5 stars for your amazing service!! Afshan not only helped me get the best flight deal to India within my budget, but was immensely patient with all my questions. Her commitment to her work is commendable!! Afshan ensured that I was convenient with regards to the the timings of the travel and suggested the best flights accordingly. This was my first time booking a flight thru Nanak Flights and I must say that they are really lucky to have Afshan as their employee who is excellent in her job!! Many thanks, I will book more flights with you guys in future and will recommend you to all my friends for their future travel to India. All the best! I received all the e-tickets. On behalf of my family, I would like to thank you for your SUPERB assistance. I will honestly wouldn't hesitate to recommend you and your travel agency to my friends and colleagues for your amazing service. Forward this e-mail to your manager, to attest to your excellent work. With gratitude. I am very much impressed with the service Nanak Flight as its whole team served me. It was tired less effort they put to get the booking done within time frame, which was crucial in my case. They were following thoroughly to see all the bookings I needed was done properly. They gone extra mile in which they did not get the commission also, and that is true customer service. They won me by their excellent service. I am very proud on Nanak Flights by writing my comments, testimonies, experience with dealing with them. Guys by helping Nanak flight, you are helping yourself with peace of mind and secure booking and related service. Madhviji is heart of Nanak flights and doing excellent job. They are growing to serve, serving to grow. keep it up. I booked tickets for India and was assisted by Mrujul. She was very professional and explained everything clearly and with patience. I was not rushed into making decision to buy the tickets from Nanak Flights. Mrujul did a great job on answering to all my questions. I would highly recommend her to my freinds and family. I have been purchasing my India vacation travel tickets from Nanak Flights for few years now. My experience has always been great in terms of exceptional service and ticket pricing. I would like to mention Cris in particular, has been very helpful in my last two transactions. Will definitely recommend Nanak flights and will return for my travel needs in future as well. Excellent customer service I received from Nanak Flights. Mridu goes the extra mile to get customers the best deal. I would say Nanak Flights is one of the best travel agents in Canada.